In the heart of the Bellecôte track, at 1900m, the Brasserie du Courcheneige, De Laroche, with its large terrace facing south and its buffet, welcomes you for your meals in the greatest conviviality. Enjoy the après-ski enjoyment with the regional cuisine of our restaurants, and enjoy the panoramic view of our terrace, contemplating the Aiguille du Fruit, La Portetta, the Grande Casse and the peaks of the Vanoise massif. The "Brasserie and Grill" offers a fusion of traditional Alpine cuisine and Mediterranean cuisine. Savor a wide selection of French brasserie specialties, pizzas, pastas and gourmet burgers; enough to feed your days on the slopes. The Hotel Courcheneige, a chalet with typical Savoyard architecture, is situated at the highest point of a unique place, accessible by the Bellecôte piste, offering high quality services with one of the best quality-price ratio of the station. Whether you choose to have lunch in the sun, on the south-facing terrace, or to take refuge in the cozy cocoon of the dining room for dinner, you will find, at the De Laroche brewery, a relaxed and friendly atmosphere. The non-skiers will appreciate to spend a moment near the fire, comfortably installed in the large club armchairs of the bar, to read, listen to music or admire the evolutions of the skiers behind the large windows. 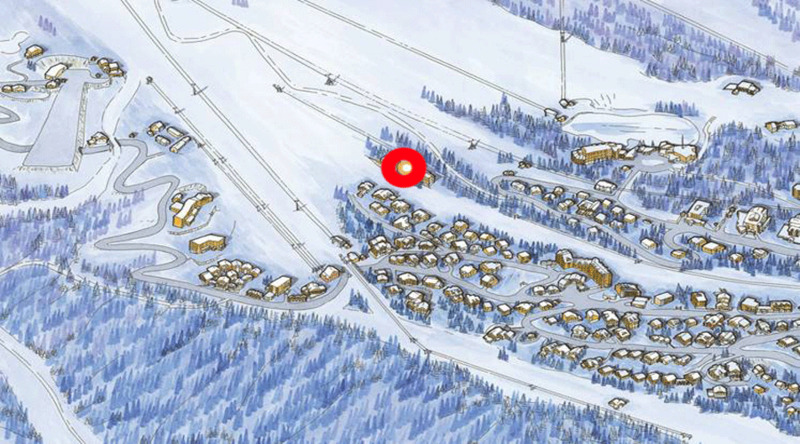 the hotel bar Courcheneige is a well-known meeting point for skiers, since the entrance to the bar is located directly on the Bellecôte slope. Jazz orchestra on the terrace, live shows at the bar, we make every effort to offer you a fun and enjoyable stay.